If you suffer from sore feet, ankles, knees, legs or lower back pain, we can help. At Advanced Foot Care we are your local Hervey Bay & Bundaberg podiatrists, known as the foot specialist team, dedicated to helping you with all your footwear and podiatry needs. What you may not realize is the underlying problem to sore feet, ankles, legs or lower back pains is often bad foot posture or poor foot function which can translate up through the leg while walking or running, causing a wide variation of problems by putting unnecessary strain on joints, muscles, ligaments and nerves through misalignment. 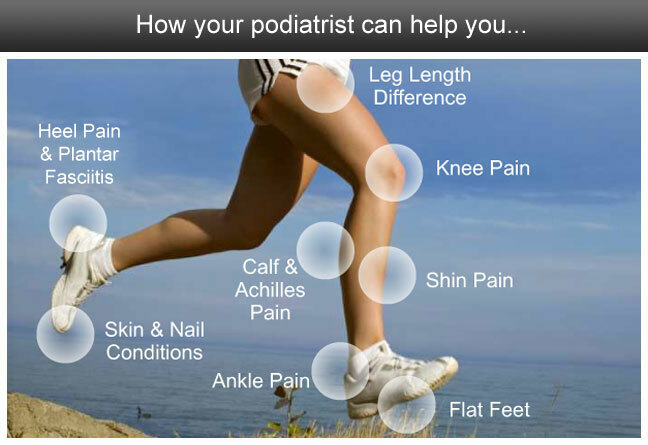 As a leading Podiatrists we are devoted to diagnosing, assessing and treating these lower leg and foot pain problems. As well as the possible foot postural or biomechanical underlying issues which may be causing these problems. Get personalized advice from the foot specialist team. Advanced Foot Care is a Podiatry and footwear clinic established to enable patients not only to get the best treatment but also obtain expert advice on footwear and footwear fittings. Since opening its doors in early 2008 the podiatrists at Advanced Foot Care have helped thousands of people using advanced computer gait (walking analysis) and postural analysis equipment. These platforms are also integrated with video gait analysis which measures and calculates differences in leg length, along with joint angles, to gain a thorough understanding of how the patient is walking and how the body is responding through postural compensations. Both the pressure analysis and video analysis can be captured simultaneously so they can be analyzed together in real time. Since opening a clinic of Hervey Bay Podiatrists in 2008, Advanced Foot Care has opened a clinic of Bundaberg podiatrists utilizing the same equipment. Both of these clinics are virtually the same utilizing the same equipment and both stocking an excellent choice in quality footwear. Advanced Foot Care clinic now offers a wide range of orthotic footwear to suit different foot conditions. Advanced Foot Care stock Aetrex, Naot, Orthoheel and the Dr Comfort footwear range. So if you need a local Hervey Bay or Bundaberg Podiatrist don't delay any longer, make an appointment with the foot specialist team at either Shop 1, 6 Torquay St, Hervey Bay, or Shop 10, 36 Quay St. Bundaberg. Just call 07 4128 2300 (Hervey Bay) or 07 4153 3255 (Bundaberg).